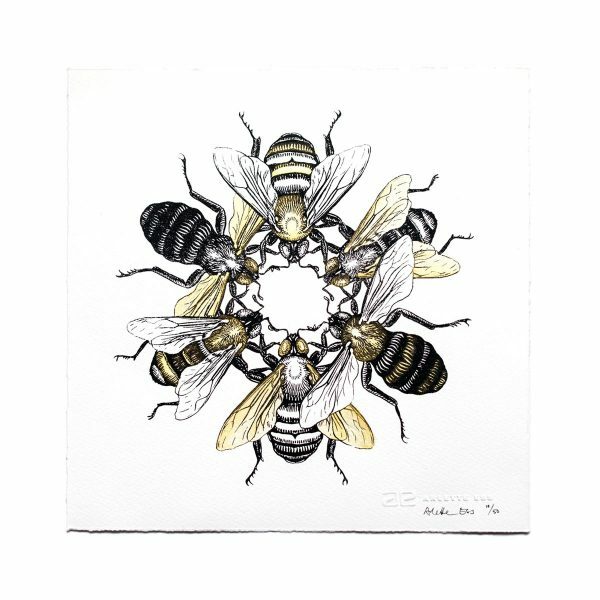 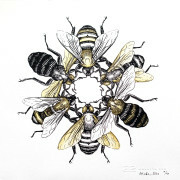 The print shows six slightly abstracted bees intersecting into a circle, the original drawings were pen and ink. 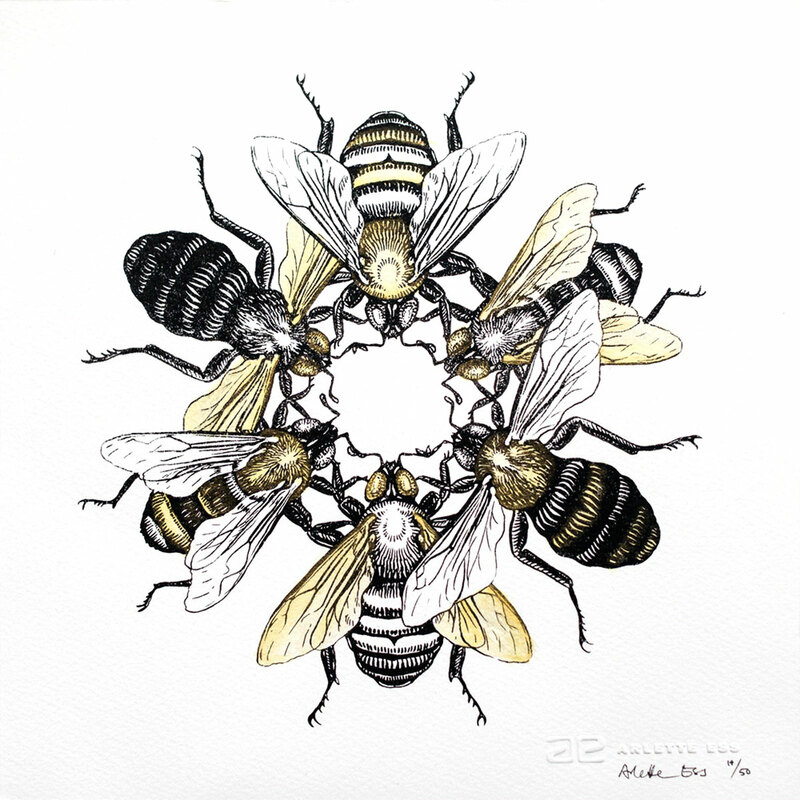 Yellow shellac and metallic pigment are added to every print individually. 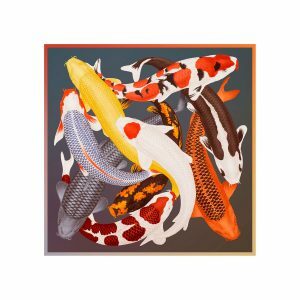 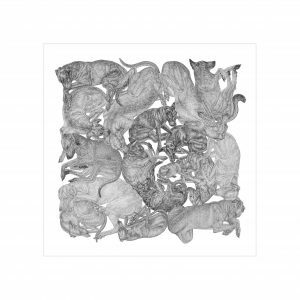 Limited edition of 50 pieces, signed, numbered and embossed. Screenprint on Fabriano artistico 300gsm watercolour paper.